The beauty of birds is undeniable. Call, shapes and colours provide a rich tapestry in our cities and countryside. But to get up close with a feather can reveal many intricacies. 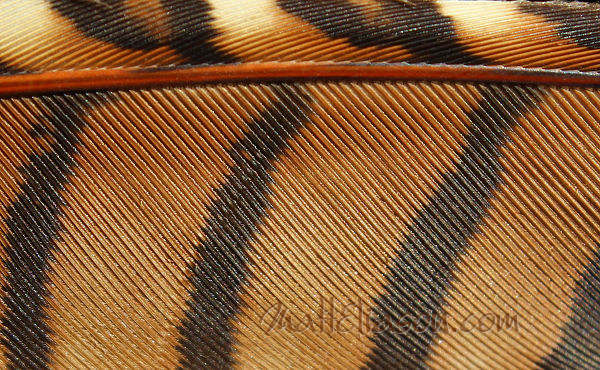 Here is a feather of an unknown species that provide a wonderful mix of colour and form. Almost architectural in design and engineered to perfection. This image is for sale for instant download for personal use only (without large watermark). Posted in Close-up, Photography for sale and tagged bird, close-up.